It’s not too late to escape winter—charter a boat in one of these tropical locations and get your fill of sun-soaked cruising. They say that when one hatch closes another one opens. So while the northern hemisphere experiences the cold, wet winter and your boat is tucked away under canvas or hidden in a boatshed, the rest of the world is primed for sun-soaked cruising. Chartering presents an interesting opportunity to explore new territory, try out a new boat or relax on an old favourite. We’ve compiled a list of the best places to charter a boat this winter. Pick any of these spots and you are (almost) guaranteed a week of steady winds, calm seas and sun-filled bliss. Most charter companies’ websites are loaded with information so you can go into your vacation with complete piece of mind. When you book your charter be sure to ask the agent all of your questions and then some. They will have the answers and if they don’t then you might want to consider booking with someone else. This is your holiday and it should be as leisurely or as exciting as you want it to be. And the options available are so diverse, ranging from a simple week-long bareboat in the Florida Keys to a two week charter on a Polynesian canoe in the Cook Islands. So scour the internet, ask friends and be sure to find the right vacation for you. The Caribbean is the quintessential chartering destination, at least for those of us living in North America, and is our most accessible tropical cruising ground. Flights can be arranged from Vancouver to a number of locations around the Caribbean including Florida, Grenada and the BVIs. All of the major charter players have fleets in the Caribbean. Sunsail has nine yacht charter bases in the region, two flotillas and one sailing school. Horizon Yacht Charters has Caribbean bases in the British Virgin Islands, Antigua and Barbuda, St Maarten, Grenada and St. Vincent, and The Moorings has a base in Road Town, Tortola. Caribbean sailing vacations offer something for everyone, whether a beginner or experienced sailor. Hurricane season runs from June to November with the majority of storms happening in the month of September. Tipping varies from island to island, but because of the large number of American tourists in the region, tipping as you would in North America has started to become the norm. The Virgin Islands are a chain of islands that make up the western archipelago of the Leeward Islands and lie at the northern end of the Lesser Antilles chain. Politically, the Virgin Islands are made up of three entities: The British Virgin Islands, the U.S. Virgin Islands and the Spanish (you got it) Virgin Islands, though the Spanish group is commonly referred to as the Passage Islands. All of the Virgin Islands use the U.S. dollar making island hopping easy, and though they are politically separate, they share a common culture. The British Virgin Islands are often rated as one of the top charter destinations in the world, with safe, convenient island hops; beautiful, protected anchorages and flotillas of vessels to choose from. Coral reefs, shaded caves and colourful marine life are all par for the course here. The slightly lesser well-known Spanish Virgin Islands sit between Puerto Rico and the other two groups. While the BVIs are the charter mecca of the Caribbean, the SVIs offer a slightly quieter experience with all of the same natural beauty. The Virgin Islands don’t see significant seasonal changes so it’s like summer all year round. Still, it’s best to avoid the region from mid June to November—hurricane season. Consider the Virgin Islands a warm-up for the gustier Grenadines, also known as the Windward Islands. This string of 30 islands stretches south from St. Vincent to Grenada in the Eastern Caribbean. Brightly coloured houses, old forts and picturesque seascapes contribute to a feeling of timelessness here. The pace is slower, the locals are friendly and the chartering opportunities are some of the best in the world. 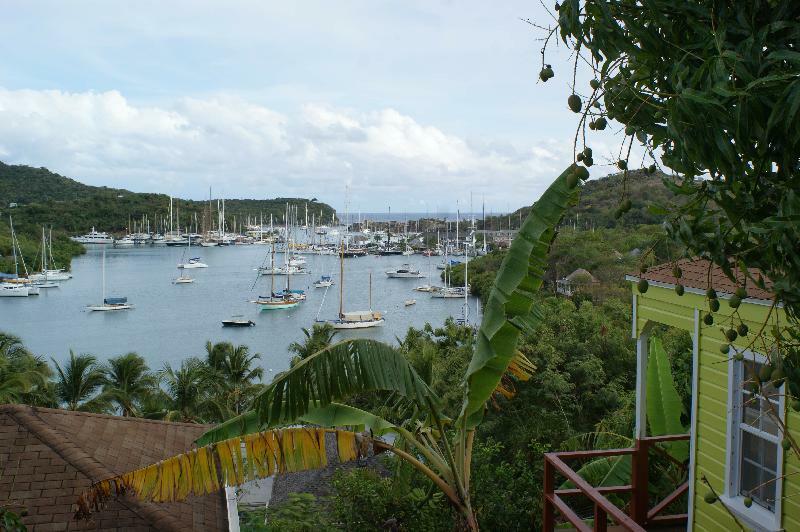 Sunsail has bases at the Blue Lagoon In Kingstown on St. Vincent Island and in St. George on Grenada. From here island hopping to nearby Carriacou and Petite Martinique on the consistent trade wind is a breeze. The Moorings has bases in Canouan and St. George. Sitting on the southern edge of the hurricane belt, Grenada avoids most of the tropical cyclones that hit its neighbours to the north, but it does experience the occasional hurricane so the months of July to October should be avoided. Temperature range from the 20s to the 30s year-round, but Grenada does experience a rainy season from June to December. Carriers from Canada and the United States fly into Maurice Bishop International Airport on Grenada. For more information on St. Vincent and the Grenadines check out the January 2014 issue of PY. For pure boating pleasure, it is hard to beat the South Pacific. Reef-fringed islands, little tidal variation, steady winds and a tropical climate make for relaxing cruising. Plus, there are just so many options, from Australia’s Great Barrier Reef in the west, to the island villages of Tonga in the east. Dream Yacht Charter has a base on Hamilton Island in the Whitsundays, as does Sunsail. Fiji, New Caledonia and Vanuatu are also prospective charter locations. Weather can vary, with periods of intense rain usually followed by beautiful sunshine. Hurricanes are a possibility in any area of the South Pacific, but are more common around Samoa, Fiji and Vanuatu. Tips are not expected. You are considered an honoured guest the first time you visit and a member of the family every time afterwards. Easterly trade winds blow between 15 and 20 knots throughout the year making for predictable, safe cruising. This means you don’t have to be an old salt to charter a boat here. Temperatures sit around 26°C all year round which is hot enough for sun bathing, but not so hot that you feel the need to spend the entire day swimming. French Polynesia (also referred to as the Leeward Islands though not to be confused with the Leeward Islands in the Caribbean) is composed of 118 distinct islands and atolls, the most famous of which is probably Tahiti. It is also the largest island in the Windward group. Papeete is the capital of French Polynesia and home to the largest airport in the area. From here a short flight to Raiatea, the heart of French Polynesia and home base to Sunsail, The Moorings and Tahiti Yacht Charters. Cosmos Yachting also has boats available in Tahiti. White sand, turquoise waters and frolicking dolphins should be enough allure, but if not, you can immerse yourself in the culture and history of the Polynesian people. Sometimes called the Friendly Islands, Tonga is a favourite charter destination known for its calm, azure blue waters and spectacular coral reefs, ideal for diving and snorkelling. Tonga has two seasons: wet and dry. Unless you’re drawn to rainstorms then you’ll want to book your charter soon as the annual rainstorms can start in February and run until April. Island hopping is easy thanks to the close proximity of islands and the sheer number of suitable anchorages. This is the ideal destination for those who love the water with visibility reaching 150 feet and great numbers of fish and other sea life. Like the Virgin Islands, Tonga makes a great charter destination for first timers with easy navigation and little tide and current to contend with. There are challenging reefs to be aware of so attentiveness is required when transiting. Both The Moorings and Sunsail have bases on the main island of Vava’u, which conveniently is also home to the airport. Situated off the coast of Queensland, Australia, the Whitsunday Islands are one of the most popular cruising grounds in the world and another great charter location for first timers. Some experience with navigation will be an asset as winds can build to 25 knots and there is a tidal range of up to four metres here. Still, short jaunts between islands and many protected anchorages in which to wait out summer showers or blustery afternoons provide some relief. Hamilton Island, the hub of the Whitsundays, is a perfect starting point for any charter in the region, though once you’re there you might not want to leave. There’s snorkelling and scuba diving, wildlife viewing and some of the best beaches in the world to explore. But there’s so much more to see with 74 islands in the group and the whole Great Barrier Reef to explore. Increasingly becoming a popular destination for chartering, Southeast Asia is still often an afterthought when it comes to booking an on-the-water vacation. Nevertheless, there are great charter options available here that rival the best in the world. The Phillipines, Malaysia and Thailand all have thriving charter and eco-tourism businesses offering something for everyone, while Vietnam and Cambodia are starting to see charter companies open for business. Tropical coastlines that seem to stretch on forever and thousands of magical islands make this region perfect for exploring by charter. Tipping is not customary amongst locals in Thailand, but it is different with western businesses. For a charter experience to rival anywhere in the world without the crowds, try Thailand. The major charter companies now have operations here including The Moorings and Sunsail, both of which have bases at Ao Po Marina on the island of Phuket. From here, exploring the stunning Andaman Sea is easy. Our winter coincides with their dry season, which also brings about calm northeasterly winds of 10 to 20 knots. So November through January is the best time to go. Cruising between islands, you’ll find no shortage of awe-inspiring scenery from the pristine beaches of Koh Lanta to the towering islands of Phang Nga Bay. Nor will you find any shortage of wildlife. The Andaman sea is home to tropical fish and sea turtles that make for spectacular snorkelling and diving. In Phang Nga Bay you will also find a nice mixture of quiet anchorages and bustling harbours—perfect for dining. Second to the Caribbean only because of its distance from us here on the west coast, the Mediterranean is perhaps the most all-around charter destination in the world. Glorious weather, pristine white sand beaches and enough history and culture for the world over are hallmarks of this cruising ground. Add to this, the subtropical climate, lack of tides and fairly predictable wind patterns and you can see why this sea is often ranked as the best sailing destination in the world. There’s no shortage of charter options here either, so whether you’re looking for snorkeling destinations on the Croatian coast or a shopping holiday on the French Riviera there is something for everyone. Unfortunately, though the Med is subtropical it also sits in the northern hemisphere so it shares a winter with us. You’ll have to hold tight until April, but there’s no reason you can’t book in advance. Mallorca sits approximately 50 miles off the southeast coast of Spain. Chartering a yacht from the town of Palma opens up a world of possibilities in the western Mediterranean including a cruise to the nearby Balearic Islands of Ibiza, Menorca and Formentera as well a voyage to the Spanish coast. Beautiful beaches, deep blue seas and delightful Spanish architecture are highlights. If nightlife is what you’re after then be sure to make a stop at Ibiza for the best music, the best dancing and the best restaurants. If you prefer something quieter then explore the castles and cathedrals around Palma itself. For beaches, head to Menorca.Winters in Mallorca are mild and dry, making chartering here possible all year round, but you may want to hold off on this one until the spring. That’s when things really pick up. Winds average five to 15 knots and tides are greater here near the entrance to the Atlantic so some experience is required. 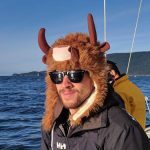 Managing Editor of Pacific Yachting. Moo!